Bodenmüiller attended the Art Academy in Munich for a while and afterwards trained himself in painting. During the Franco-German War of 1870/1871 he served as an officer in the Bavarian army. This period formed an inspiration for his work. In later years he also produced allegorical pieces, among them a series of paintings based on a sonata by Beethoven. 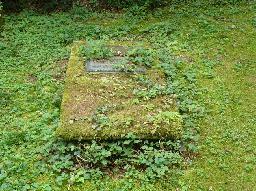 The grave of Friedich Bodenmüller at the Waldfriedhof in Munich.